Buying a Colorado Springs home can be complex in the current real estate market conditions. Laura with The Platinum Group Realtors can helps home buyers find their dream home. 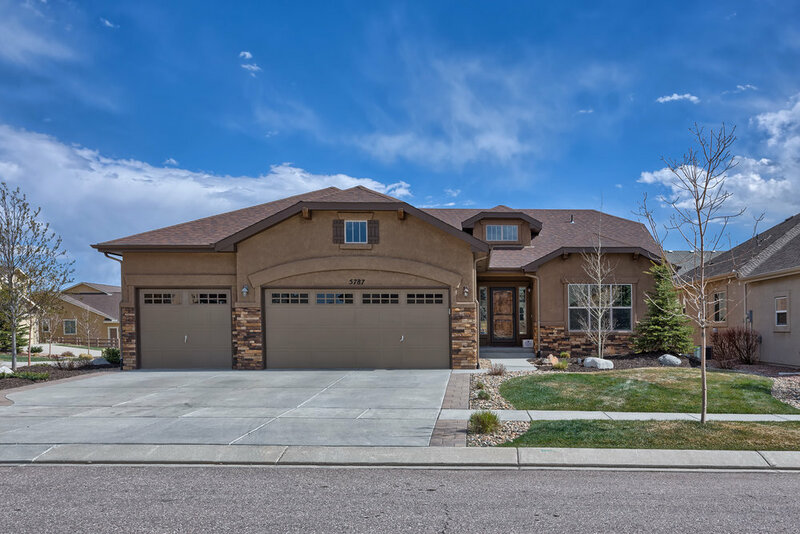 From your initial search for Monument or Colorado Springs homes for sale all the way through your real estate transaction to closing, you are getting service you deserve from an agent you can trust. 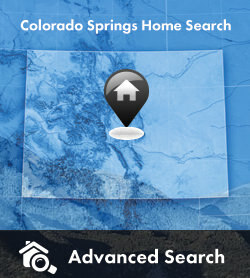 I truly enjoy helping buyers find and purchase their homes in the Colorado Springs area. As one of the top buyers agents in the entire Colorado Springs area I have the experience, knowledge and dedication to help you find the perfect home. My buyers services are free, and if you are active duty or retired military you will also receive my military appreciation cash back rebate. Whether you are a first time home buyer, a military member PCSing to the Springs, or looking for your dream home, please contact me today as it would be my pleasure to help assist you in anyway possible! Please take a look at the reviews of me on Zillow and see what Colorado Springs area home buyers and sellers are saying about my services. Buying a Colorado Springs home is an exciting and complex adventure. It can also be a very time consuming and costly one if you're not familiar with all aspects of the process, and don't have all the best information and resources at hand. By using my services as a top Colorado Springs Realtor, I can help make your home buying process much easier for you. With over 4,000 real estate listings in the Colorado Springs real estate market, I can help save you time finding your next Colorado Springs home. One of my specialties is representing the best interests of home buyers throughout the entire buying process. My comprehensive, high-quality services can save you time and money, as well as make the experience more enjoyable and less stressful. Best of all there is NO COST to home buyers who use me as a buyers agent to help find and purchase your next home. We cannot say enough wonderful things about Laura and The Platinum Group. Laura was so helpful and efficient. Very professional yet very personable. We looked at many homes with Laura and she helped us find the home we love. Laura is now a great friend and a neighbor. You will not go wrong choosing Laura as your Realtor. We are so happy we found her! Having personalized representation from a reputable, experienced and knowledgeable buyers agent can provide you with a huge advantage throughout the home buying process. Your buyer's agent will have a tremendous impact on what is one the biggest decisions, and largest investments you will ever make. Their involvement from the very beginning of your home search, during negotiations, and through the process from going under contract until you close on your home can have a huge impact on you. Not all REALTORS are the same and there is a reason why only 10% of real estate agents do about 90% of the business. If you pick an inexperienced or bad agent it can have significant negative implications for you. It’s an unfortunate fact that many real estate agents only look after one person in real estate transactions, THEMSELVES. I take a much different approach than many Colorado Springs Realtors, in that I truly follow my belief that every single real estate transaction is really only about one person, YOU! As a full service Colorado Springs Realtor and a top Colorado Springs Buyers Agent, I offer complete personalized buyers representation for my clients. 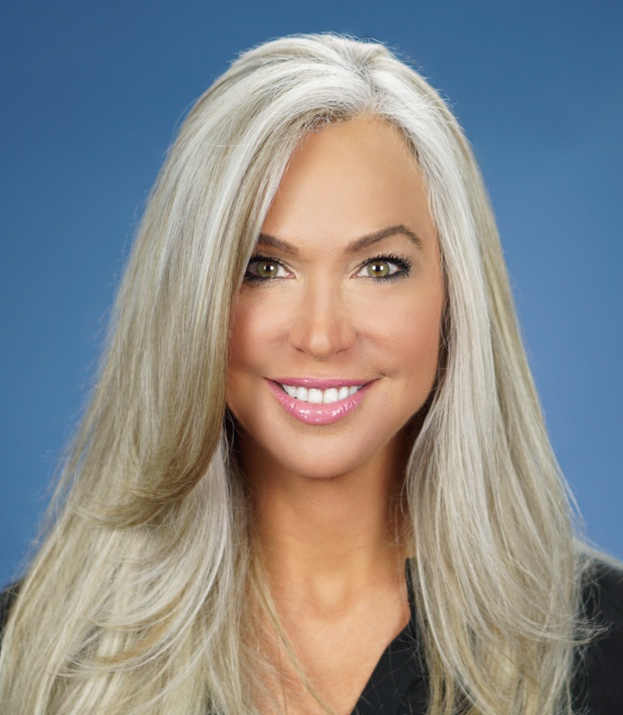 You’ll find that there are many advantages that I am able to provide my clients by representing 100% of their interests, backed by a solid reputation, firm ethical beliefs, and the knowledge and experience to make your next real estate transaction not only enjoyable, but also easy. Talking with or emailing buyers who haves used the agent can help give you more incite and information about the agent. I recommend asking if they have a few buyers that they recently helped purchase a home you can contact. Any agent who is confident in their reputation and the services that they provide will have no problem providing you with two or three recent buyers for you to contact. Also look at 3rd party websites like Zillow to see what kind of reviews the agent has been receiving from home buyers and sellers who have used the agent. Because these are 3rd party sites the agent can't manipulate or hand pick the reviews they want. Take a detailed look at their personal website. Is it a "canned" site that they just pay a vendor for and they just put their picture on it, or does it provide personalized useful content created by the agent? This gives you a glimpse into how the agent approaches their business and reflection on the level of service that they will provide and the time they will dedicate to you. With over 90% of home buyers doing research online, an agent who works with and provides an outstanding level of buyer services must dedicate time and resource into their personal website to provide buyers with useful, relevant and timely information. This helps inform buyers about the agent, the real estate process, and local market conditions, and it shows how dedicated the agent is to helping ensure buyers have the needed information to help assist in their real estate decisions. Ask if they work out of their home or at reputable, well established Brokerage Firm. You probably wouldn't want your lender, doctor, accountant, or lawyer working out of their home and your real estate agent should be no different. Will they let you tour the brokerage office or do they have pictures of it. I am more than happy to provide anyone with a link of a virtual tour of our brokerage office or to come see it in person. If an agent doesn't, there might be a reason why. Where an agent hangs their license and works from represents a lot of how they approach their business. 2. What is the agents experience level? What type of business do they do? Do they work with many buyers? Ask the agent how many deals they personally (not their team or the brokerage company, but just them) did over the past year. How many of those were with buyers? What is their average sales price? The average agent only does about 3-4 deals each year. Last year about 50% of the agents in the Colorado Springs area didn't even do a single deal representing a buyer. From the real estate contracts, the current housing inventory, changes in regulations, changes in the mortgage industry, and constantly shifting marking conditions, you need to have an agent who is experienced and does a lot of business. If the agent doesn't do enough business, or they don't work with many buyers, they will be more of a liability to you than they will an asset. Also, ask how long have they been in the business? Some agents have been in the business for a very long time but currently do very few real estate deals and as a result probably aren't up knowledgeable on recent changes and trends. 3. How much time will they dedicate to you throughout the entire process? Will they pass you to another agent? Is the agent a full time agent or a part time agent? There are a lot of agents who do real estate on the side, these agents won't have the time or experience that you need. Will the agent personally dedicate their time to you throughout the home buying process or will they hand you off to a buyers agent on their team? How much time will the agent give you when you start looking at homes? This is very important if you are relocating from out of the state and you will come into town for only a short period of time to search for a home. You need to have an agent who understands your needs and will dedicate the time you will require during your home search. How fast does the agent respond to your emails or phone calls? Whether or not the agent gets back to you in a reasonable amount of time speaks volumes as to how they value your needs and questions. 1. I will provide you with 1st class real estate services and I WILL NOT hassle you or waste your time! I am in business to provide a service to meet your needs and interests, and I work very hard to ensure that I provide my clients with unmatched service. My goal is to not only meet but to exceed your expectations. 2. Very few Colorado Springs REALTORS work with more buyers than I do. I have the experience, knowledge, and reputation backed by strong ethical values to successfully guide you from the very early stages of your home search all the way through to closing on your home. I will be able to ensure not only a successful transaction but will also make the home search and the buying process enjoyable. 3. I will provide you with a personal customized Colorado Springs home search with listings obtained from the Pikes Peak MLS to assist you in your home search. Because this obtains listing information directly to the official Pikes Peak MLS system, it is much better and far more accurate than other non-MLS data sites like Zillow or Trulia. This powerful search portal can only be created by a local REALTOR. I think you’ll find this system will not only save you time, but also provide you with an excellent tool and advantage in finding that dream home that fits your exact needs. This will help not only help you get a better feel for the various areas and what you can get for the money but it will also help me better understand what you are looking for. Once I have a better understanding of what you like and do not like, I will be able to help you eliminate homes and areas that won't fit your needs, and to find more homes that truly fit are what you are looking for. 4. Backed by a complete team, I am able to dedicate 100% of my attention to you from the beginning stages of your home search all the way to closing. I will help facilitate, advise, and walk you through every step of the complex home buying process. 5. I am fully qualified and highly skilled in the back-and-forth negotiations and financing queries that precede the closing of most real estate transactions. I represent your interests 100% and I’m committed to helping protect your best interests in the purchase. Representing you and supporting you: That’s a powerful combination! 6. I have an intimate knowledge of the Colorado Springs real estate market, housing inventory, home market values, new construction developments, market trends, zoning, school districts, community and neighborhood information. 7. I promise that I will work hard to help you find your dream home, and do my absolute best to represent your best needs to make your home search and purchase enjoyable. Please visit my Buyer Representation FAQ page to help answer any more questions you may have. If you're like most people, buying a home is the biggest investment you will ever make. So whether you're buying a starter home, your dream home, high end luxury homes, an investment property, or a new construction why not take advantage of my experience as a local market expert for Colorado Springs real estate to make the most informed decisions you can, every step of the way? Please feel free to contact me if with any questions you might have. Choosing the right Colorado Springs real estate agent to help you through the home buying process is critical. A great agent can not only help make the entire process enjoyable and fun, but can also be the difference of finding your dream home as well as saving you money and successfully closing the transaction. How do you know if you are picking a great agent that will actually look after your needs and not theirs? One of the best ways to see if the agent is a right fit for you and has the necessary experience, professionalism, and expertise to truly be an asset throughout the process is to communicate directly with the agent and also to find out what past clients have to say about them. Please feel free to contact me at anytime, it would be my pleasure to help assist you in anyway possible, and I would love the opportunity to show you how I can make your next real estate transaction not only successful but also enjoyable! I invite you to check out what past clients have said about my real estate services by taking a look at the reviews of me on Zillow.